On the Dutch Wikipedia there is a nice picture of a very large Ericofon. The picture was taken on April 5th 1964 on the T-Bana (Swedish metro/subway) station of Telefonplan, Stockholm at its opening. Telefonplan is a square in Stockholm where a factory and the headquaters of Ericsson was located at that time. 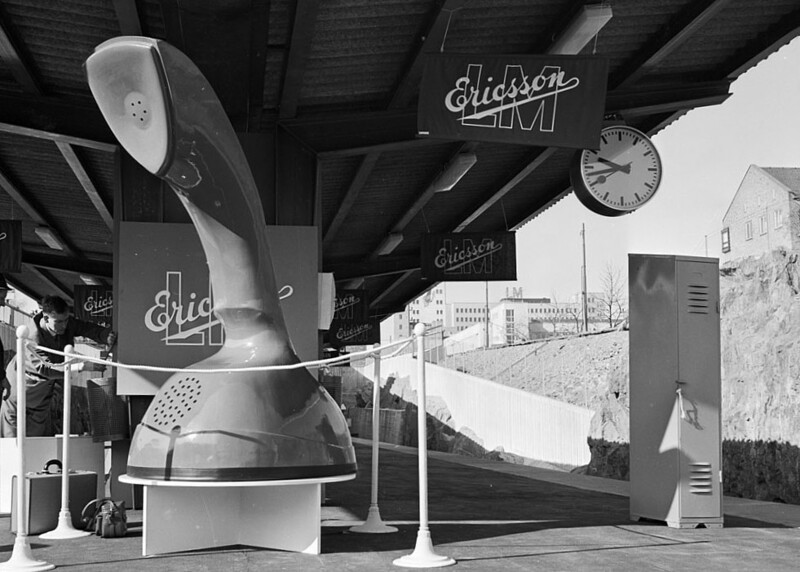 Obviously the Ericofon was important enough in 1964 to be shown so large and out in the cold. This entry was posted in fun on February 1, 2019 by admin.